A Summary of the OIG Sept 2015 Report on “Questionable and Inappropriate Payments for Chiropractic Services"
In September of 2015 the Office of the Inspector General (OIG) of the Department of Health and Human Services, a federal agency, released a report highlighting its evaluation of chiropractic claims and questionable and inappropriate payments for chiropractic services. 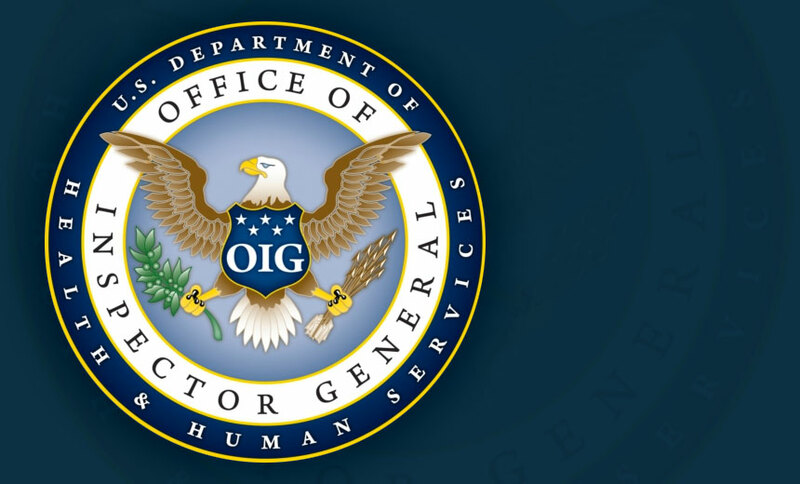 This report begins a short series of articles investigating and reporting the findings of the OIG report explaining their methods, definitions, thresholds, findings and recommendations. This series begins with an overview summary of the report. Says the OIG: “Chiropractic services have the highest rate of improper payments among Part B services … Medicare covers chiropractic services to improve function, which it refers to as ‘active treatment,’ but does not cover ‘maintenance therapy,’ which is when further clinical improvement cannot be reasonably expected from ongoing treatment." The OIG reports that in the past it “has found that between 40 and 47 percent of all paid chiropractic claims were for maintenance therapy,” according to its opinion. The OIG “analyzed paid claims for chiropractic services from 2013 to identify chiropractors who exhibited questionable billing use four measures: (1) treatment suggestive of maintenance therapy, (2) potential sharing of beneficiaries, (3) potentially ‘uploaded’ claims, and (4) unlikely number of services per day. We then identified chiropractors who received high amounts of questionable payments." In 2013 the OIG states that they observed that “$76 million in Medicare payments for chiropractic services were questionable. Almost half of the questionable payments were for claims suggestive of maintenance therapy. … 2 percent of chiropractors were responsible for half of the questionable payments.” The OIG found that “these chiropractors provided more services to more beneficiaries compared to all other chiropractors and were located in high-fraud areas” under scrutiny for widespread Medicare fraud by multiple providers in the area. It was noted that in these “high-fraud areas” that the “beneficiaries of these [fewer than 2%] chiropractors were more likely to have had paid claims for physical and occupational therapy on the same day than were beneficiaries treated by other chiropractors, especially in high-fraud areas,” and most had also had questionable payments in previous years. Finally the OIG reports that “in 2013, Medicare inappropriately paid $21 million for chiropractic services that lacked a primary diagnosis covered by Medicare." The OIG recommends that Centers for Medicare and Medicaid Services (CMS) “should (1) establish a more reliable control for identifying active treatment … ;(2) develop and use measures to identify questionable payments for chiropractic services; (3) take appropriate action on the chiropractors with questionable payments; (4) collect overpayments based on inappropriately paid claims; and (5) ensure that claims are paid only for Medicare-covered diagnoses." In their response to the recommendation that the agency establish a more reliable control for identifying active treatment, the CMS responded “CMS does not concur with this recommendation. CMS acknowledges the issue but notes that there are significant obstacles to developing a reliable control for active treatment. CMS will implement a program to prior authorization medical review of certain services provided by chiropractors as required by the Medicare Access and CHIP Reauthorization Act (MACRA). CMS believes this program will help to address the concerns OIG identifies in this recommendation.” It appears that the CMS will observe the newly passed federal legislation that the ACA worked diligently to achieve. Under MACRA, DCs whose claim denial rates are out of line with the rest of the profession could be subject to pre-authorization standards established by HHS. DCs with a good record of claims based on proper documentation and those who avail themselves to the education program will avoid pre-authorization requirements that non-compliant providers could eventually face. CMS concurred with the remaining OIG recommendations and reports on their plans to implement the recommendations. In future reports we will investigate individual sections of this report and share the hard data reported by the OIG.